Actress, producer and businesswoman Vivica A. Fox is helping to urge people to get out and vote early or on Election Day. The Hollywood actress, known for her beauty and style, wanted to do her part to help motivate the community to vote. Hoping to send a strong message that will resonate nationwide, a coalition of non-partisan organizations have joined forces to conduct a massive march comprised of over 200 congregations “Marching Souls to the Polls” on the first Sunday of early voting in Florida, October 28, 2012. Determined to keep the swagger going among their peers, Black Youth Vote! (BYV! ), the youth program of the National Coalition on Black Civic Participation (NCBCP), is hustling hard as they transition their iThink 2012 Campaign efforts from voter registration to voter education and mobilization for the last days of the 2012 Presidential Election cycle. A group of black women called on the spirits of the ancestors to empower them to fight against current efforts to suppress the Black vote during the fourth annual Power of the Sister Vote Intergenerational Policy Forum Series hosted by the National Coalition on Black Civic Participation’s (NCBCP) Black Women’s Roundtable (BWR) and the Congressional Black Caucus Foundation. 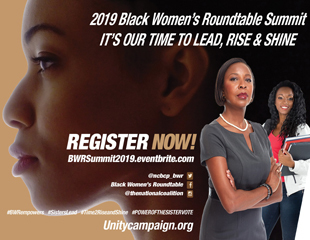 Washington, DC - In their continuing efforts to make Black women's issues a top priority and remind elected officials and candidates of the voting power of Black women, the National Coalition on Black Civic Participation's (NCBCP) Black Women's Roundtable co-hosted non-partisan round table discussions in conjunction with the Republican National Convention (RNC) in Tampa, FL, and this week at the Democratic National Convention (DNC) in Charlotte, NC. Washington, DC - When Andre Todd Hobson aka "Champ" originally penned the lyrics for The National Coalition on Black Civic Participation's Black Youth Vote (BYV!) iThink 2012 campaign, he didn't know how soon his lyrics would literally become his life. The 19-year-old Richmond, VA native will report to basic training for the U.S. Army on July 31, just a week after hitting the studio to lay his tracks for the song. He can only hope that his recording of "Vote 4 Justice" will move his peers to make a difference in the upcoming presidential election. He will make a difference by serving in the Army to protect the country and our democratic process. Miami, FL - The Florida Coalition on Black Civic Participation will host the 2012 Healthy, Wealth & Wise Mini-Expo and Black Men's Round Table on Saturday, July 28, 2012 from 10:00 am to 2:00 pm at the Caleb Center, 5400 NW 22nd Avenue in Miami. NBA Hall of Famer, Isiah Thomas; actor and producer, Charles S. Dutton (Rock); Dade County Circuit Judge Daryl Traywick; and Miami Police homicide detective and cast member of "48 Hours," Detective Ervans Ford, are among the speakers. Congresswoman Frederica Wilson will bring greetings. For ticket, vendor and sponsor information call (321) 285-6297 or email salandrabenton64@gmail.com. Multiple Cities, Ohio - A coalition of faith, labor, civil and voter rights groups along with community activists launched the Stand Your Ground… Vote, 2012 Ohio Voter Empowerment Tour in Cincinnati this past weekend dispatching a mobile voter registration unit staffed by trained volunteers to various community events to help register new voters, verify voter's registration status, and provide citizens with non-partisan information about the upcoming election. 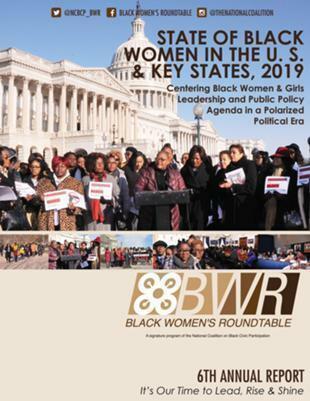 Washington, DC - Following are statements from Melanie L. Campbell, president and CEO of the National Coalition on Black Civic Participation (The National Coalition) and convener, Black Women's Roundtable and Salandra Benton, director of The Florida Coalition on Black Civic Participation and Florida Black Women's Roundtable regarding the recent court decision on Florida voting law (H.B. 1355). Washington, DC - The powerful and positive visual of over 200 strong black men standing to represent as mentors, community organizers and leaders will be deeply embedded into the mind of nearly 300 people who attended The National Coalition on Black Civic Participation's (The National Coalition) 15th annual Spirit of Democracy Awards Gala in Washington, DC last week. Currently reading page 10 of 15.